25 Delicious Dessert and Snack Recipes You Won't Believe Are Low Carb! What if you were able to eat delicious dessert recipes like frozen treats, cookies, fudge, and cake while still being loyal to your low carb diet? Diet consultant Andrew Mills reveals exactly how you can still enjoy delicious dessert recipes that are 100% low carb and low sugar. Based on proven scientific research, Mills provides the nutritional facts for each recipe so you can rest assured that you are following your diet safely. 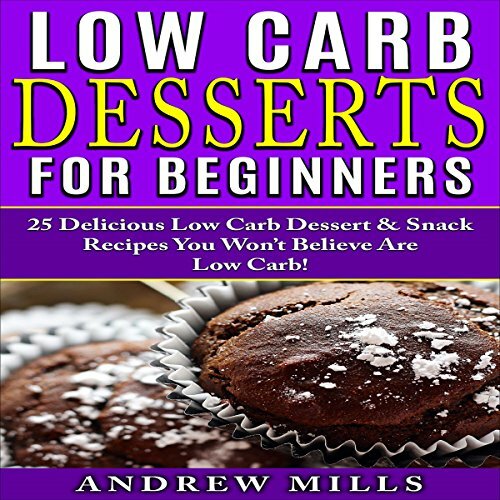 Buy this book if you're ready to start making delicious low carb dessert recipes without feeling guilty about breaking your low carb diet. ©2016 Andrew Mills Inc. (P)2016 Andrew Mills Inc.